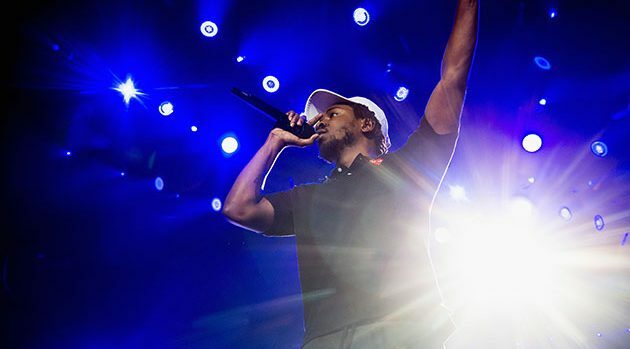 Kendrick Lamar; Erika Goldring/Getty Images(NEW ORLEANS) — This year’s Essence Music Festival did not disappoint. The three-night, star-studded music show once again proved it could bring generations together by paying homage to music legends, like Prince, while offering fan favorites like Maxwell, Kendrick Lamar and Puff Daddy to help close out the show. In addition to Maxwell, Friday night was an evening of veteran talent. Kenny “Babyface” Edmonds and New Edition both performed their classic hits, reminding fans what soulful R&B sounds like and reverting back to moves that were signature in their era. New Edition managed to stay in sync with their ’80s choreography, while Babyface tried something a bit different. The “Whip Appeal” singer jumped off the stage, partially shirtless, to meet fans in their seats as he ran around the Superdome. Sunday night was a celebration of the legends as well as the new generation. The night kicked off with a celebratory Prince tribute that included Luke James singing his rendition of “Let’s Go Crazy,” Larry Graham from Sly and the Family Stone belting out a heartfelt “Purple Rain” and the New Orleans’ Stooges Brass Band and dancers marching and performing on the Superdome floor. Ciara later followed, offering up her musical “Goodies,” while Kendrick Lamar brought the crowd to its feet with “Swimming Pools (Drank)” and later “King Kunta” and “Alright”. Not to be outdone by Kendrick’s ability to revitalize a once-waning crowd, Puff Daddy made a grand entrance for his close-out performance that included Mase, 112, Faith Evans and French Montana.